Grew Up… in Brooklyn, where her family had (and still has) close ties to the Mafia. Living… a charmed life in Westchester. Anna has a gigantic new house, three young children, and a nanny named Maria to look after them. Profession… accountant for Standard Oil, the company her father sold to her husband Abel twenty years ago. For Anna, Standard Oil is family. When one of Abel’s drivers lands in the ER after being injured on the job, she is the first one to arrive at the hospital. Interests… looking good. Anna diligently applies her makeup and gets her hair right before heading out, and indeed she maintains a ravishing outward image that turns heads. Though no heads would turn if she didn’t have the underlying confidence to make image and reality one and the same. Relationship Status… married. Anna and Abel form a true power couple, and it is primarily she who wears the pants in the relationship. When Abel, wielding a tire iron, hesitates to put a deer that collided with his car out of its misery, Anna whips her gun out of her purse and shoots it without a second thought. Personality… passionate, eloquent, and dirt-tough. A woman who can turn the charm on and off like a faucet, Anna is the fiery yin to Abel’s level-headed yang. Which is not to say she is irrational; she simply views the world through the lens of the Mafia, the lens of her upbringing, whereas Abel views the world through the lens of his immigrant idealism. So basically, you don’t want to end up on her bad side. As she tells the District Attorney in charge of investigating Standard Oil: “My husband is a good man, don’t mistake his honesty for weakness… So if I were you, I would start treating us with a little more respect or I guarantee he will make it his mission in life to ruin you.” But really, it would be Anna doing the ruining. Anna Morales's popularity ranking on CharacTour is #4283 out of 5,000+ characters. See our top-ranked characters and read their profiles. 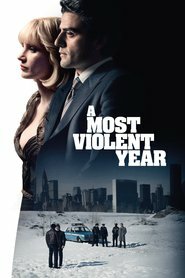 A thriller set in New York City during the winter of 1981, statistically one of the most violent years in the city's history, and centered on a the lives of an immigrant and his family trying to expand their business and capitalize on opportunities as the rampant violence, decay, and corruption of the day drag them in and threaten to destroy all they have built.